For many of us, it's spring and time to get the boat out of storage or for those lucky enough, it's time to get your new boat rigged for the season. If you like to run a nice organized boat, The Rod Glove has many products to help you out. One of the best ways to keep your electronics organized is to purchase and install The Rod Glove E-Cable. Depending on installation at the factory, there is never a guarantee that electronics or your trolling motor wiring is going to be neat and tidy. Having my own issues in the past, bringing the boat home and spending a few minutes to install The Rod Glove E-Cable, made a mess become organized. Take a look at the video created by Lawren Wetzel from Radioworld where he explains the E-Cable products. 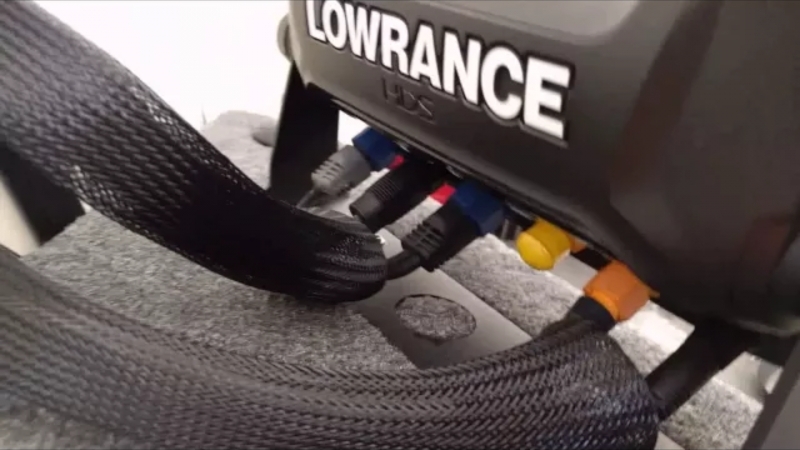 In this next video, Lawren shows us exactly how to DYI install the E-Cable. If you are looking to keep your boat nice and tidy this season, purchase a package of the Rod Glove E-Cables and spend a few minutes installing them. When I was first starting out fishing I used to do the "Jimmy Spin" by spinning my lures onto my rods. By placing them into the rod locker, the guides would be broken and I snapped a guide or two. My gear is expensive and now that I cover them with The Rod Gloves, I can run big water, stop at my spot, peel them off in a hurry and in no time start fishing, all the time my rods are protected.